Dengen perkembangan teknologi yang sangat mudah kita dapatkan sehingga mudah untuk kita mengerjakan soal-soal ujian yang ada. 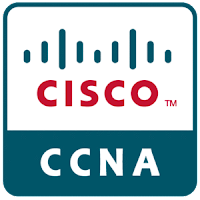 Dan salah satunya admin mau memberikan soal dan kunci jawaban CCNA 1 Version 6.0 Chapter 3 Exam Update 2019. Soal ini berjumlah 22 butir soal dengan pilihan ganda dan menggunakan bahasa inggris. untuk mempermudah kalian dalam mengerjakan gunakan kombinasi pada keyboard kalian untuk mencari kata. tekan CTRL+F untuk mencari kata pada blog ini. 2. Which PDU is processed when a host computer is de-encapsulating a message at the transport layer of the TCP/IP model? 3. What will happen if the default gateway address is incorrectly configured on a host? Jawabannya : The host cannot communicate with hosts in other networks. 4. What are proprietary protocols? 8. A web client is sending a request for a webpage to a web server. 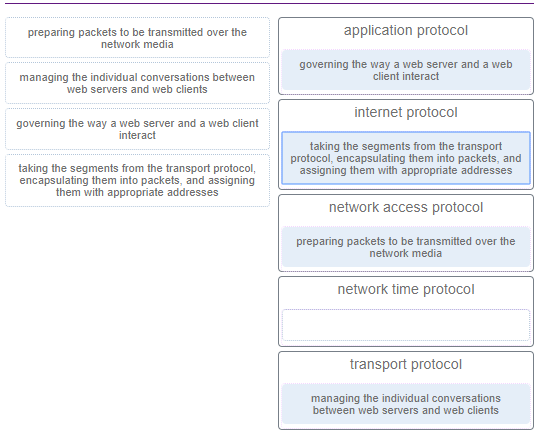 From the perspective of the client, what is the correct order of the protocol stack that is used to prepare the request for transmission? 10. What method can be used by two computers to ensure that packets are not dropped because too much data is being sent too quickly? 12. What is an advantage of network devices using open standard protocols? Jawabannya : A client host and a server running different operating systems can successfully exchange data. 13. 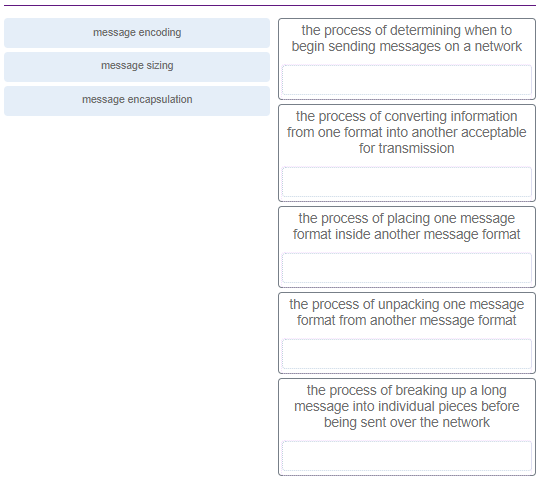 What process is used to place one message inside another message for transfer from the source to the destination? 14. Which PDU format is used when bits are received from the network medium by the NIC of a host? 15. Which address does a NIC use when deciding whether to accept a frame? 16. 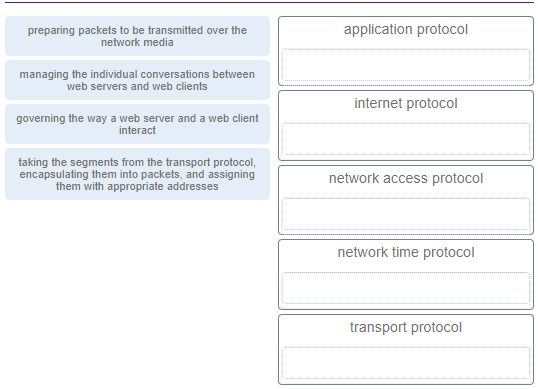 Which statement is correct about network protocols? Jawabannya : They define how messages are exchanged between the source and the destination. 17. 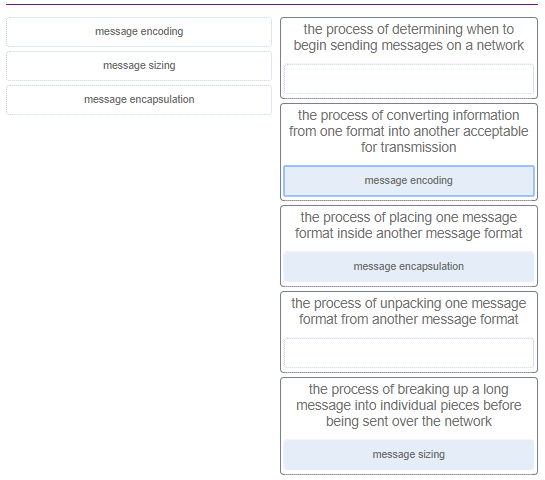 What type of communication will send a message to all devices on a local area network? 18. 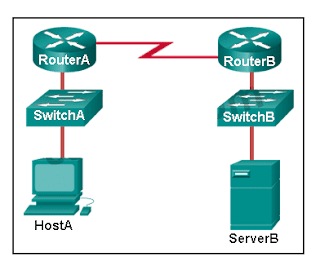 Which characteristic describes the default gateway of a host computer? 19. What is an advantage of using standards to develop and implement protocols? Jawabannya : Products from different manufacturers can interoperate successfully. - A packet with the destination IP address of ServerB. - A frame with the destination MAC address of RouterA. 21. 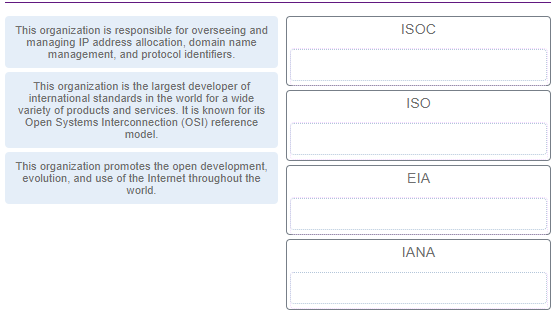 At which layer of the OSI model would a logical address be added during encapsulation? 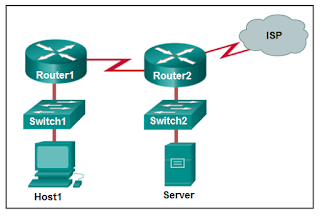 Demikian soal serta jawaban dari CCNA 1 Chapter 3 Exam Version 6.0 yang berjumlah 22 butir soal. Semoga artikel ini dapat membantu sobat bsi-tips semua dalam mengerjakan test ini. Selamat mengerjakan ! sampai jumpa di artikel berikutnya . 0 Response to "Terbaru Kunci Jawaban CCNA 1 Version 6.0 Chapter 3 Exam Update 2019"
Harap berkomentar dengan menggunakan bahasa yang baik dan sopan.